The painting team in Houston offers superior quality residential and commercial pressure washing and restoration services in Houston Texas. 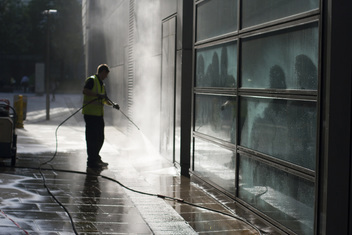 We are trusted throughout the area to deliver top quality power washing and professional service at a fair price. Houston Home Painters uses a trailer mounted, hot water system so we can tackle your toughest jobs. Thank you for your visiting our website and please feel free to contact us with any questions or to set up free estimate!